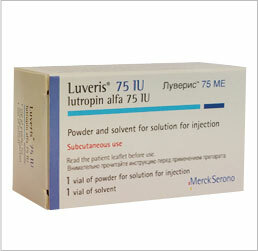 Luveris 75 IU is an injectable fertility medication that provides luteinizing hormone (LH). LH is a vital hormone for ovulation and pregnancy. It works with FSH to stimulate the ovaries to produce a healthy, mature egg. Luveris, which is administered as a hormone injection, is most often combined with follicle stimulating hormones such as FSH and hCG in order to bring about fertility and conception. This combination induces egg development and maturation of eggs. 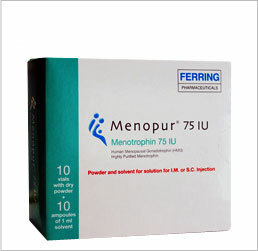 Those who have already experienced menopause, or whose ovaries no longer have eggs, will not benefit from this IVF med. 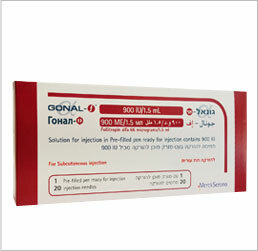 Luveris is one of many high quality infertility medications offered by IVFPrescriptions. 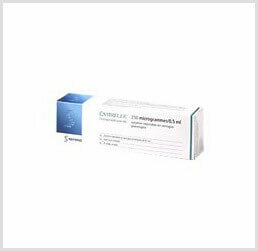 Of the infertility drugs on the market, Luveris has a successful track record resulting in pregnancy. Luveris is one of many IVF meds that are indicated for use in treating infertility, often in combination with other IVF drugs. Because we offer only the top branded IVF medications we are able to help you save on the Luveris price, over most others in the same market. Luveris, used as part of the overall IVF treatment, and in conjunction with other ivf drugs, can have one or more side effects. Most women experience little to no side effects, but may suffer from a light headache that goes away, breast tenderness, pain at the injection site, and stomach pain or bloating, and dizziness. However, overstimulation of the ovaries can occur. If this happens and the following symptoms appear, seek medical attention immediately: diarrhea, vomiting, low to no urination, shortness of breath, swelling of face, feet, or hands, severe pelvic pain, extreme weight gain. Additionally, if you have weakness that is centered on one area of the body, slurred speech, severe headaches, swelling of the face, feet, or hands, or shortness of breath, seek help immediately.